Antigua Guatemala is an outstanding example of preserved colonial architecture and of cultural value. 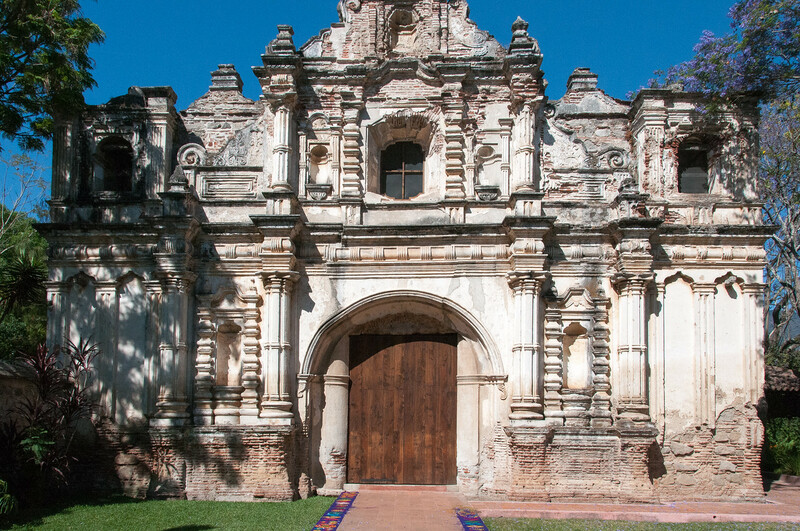 The religious, private and government buildings bear exceptional testimony to the Spanish colonial architecture in Antigua. 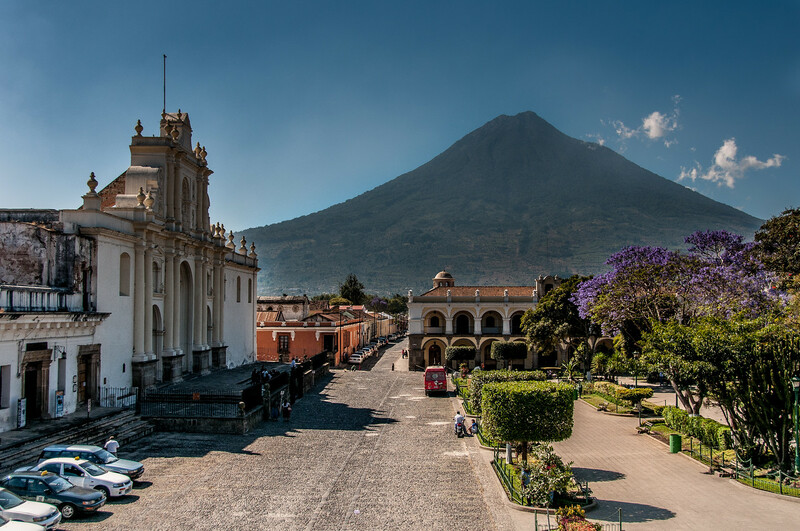 Built 1,500 m above sea level in an earthquake-prone region, Antigua, the capital of the Captaincy-General of Guatemala, was founded in the early 16th century as Santiago de Guatemala. The conquerors chose this location as the previous capital had flooded in 1541 and the valley provided an adequate source of water and a fertile soil. Antigua Guatemala was the seat of Spanish colonial government for the Kingdom of Guatemala, which included Chiapas (southern Mexico), Guatemala, Belize, El Salvador, Honduras, Nicaragua, and Costa Rica. It was the cultural, economic, religious, political and educational center for the entire region until the capital was moved to present-day Guatemala City after the damaging earthquakes of 1773, but its principal monuments are still preserved as ruins. In the space of under three centuries the city, which was built on a grid pattern inspired by the Italian Renaissance, acquired a number of superb monuments. Antigua might be the most charming city in Central America. The former capital of Guatemala (antigua means ‘old’ in Spanish), Antigua was abandoned for Guatemala City because the area was earthquake prone. Among the many Spanish colonial buildings are several ruined churches which were destroyed by an earthquake and never rebuilt. In particular, the cathedral which you see today (shown in photo) is only a fraction of the size of the original building. If you go to the back of the structure you can see the remains of the original cathedral. Antigua is an hour drive from the Guatemala City airport and one of the top attractions in Guatemala. Antigua Guatemala is a cultural UNESCO World Heritage Site, which is a municipality in Guatemala with a population of about less than 50,000 people. This site was inscribed by UNESCO in 1979 during its third session. The city is noted as a cultural gem in South America for its rare beauty, vibrant culture, and historical significance. All of these factors combine to making Antigua Guatemala not only worthy of a UNESCO listing for its cultural significance but also as a popular tourist destination. This city was once the capital of Guatemala. Even though it is no longer the capital, one thing is undeniable: the number of colonial relics at the site and the beautiful streetscape makes it one of the most outstanding cities in the Americas. The city of Antigua Guatemala was founded in the early 16th century. This city is located 1,500 meters above sea level. The area where the city was built on is prone to earthquakes. In fact, a massive earthquake that hit the city in 1773 destroyed plenty of the features and structures in the city. The city has proven its resilience by the fact that many of these important colonial architectural features and structures have been preserved until today. When the city was founded in 1524, it was named as Santiago de Guatemala. Aside from the earthquake, the city has also survived an uprising by the indigenous people who tried to destroy by lighting it up on fire. Three years after it was founded, the entire city had to be rebuilt. Due to the threat of destruction and earthquakes, this has prompted the government to relocate the capital city to Guatemala City. For many centuries though, Antigua Guatemala served as the economic, political, educational, cultural, and religious center of Guatemala. This only changed when the capital was moved. Within the three centuries that it was the capital, there were a number of superb monuments that were erected all throughout the city, which can now be commemorated to provide a glimpse of the city’s rich history. 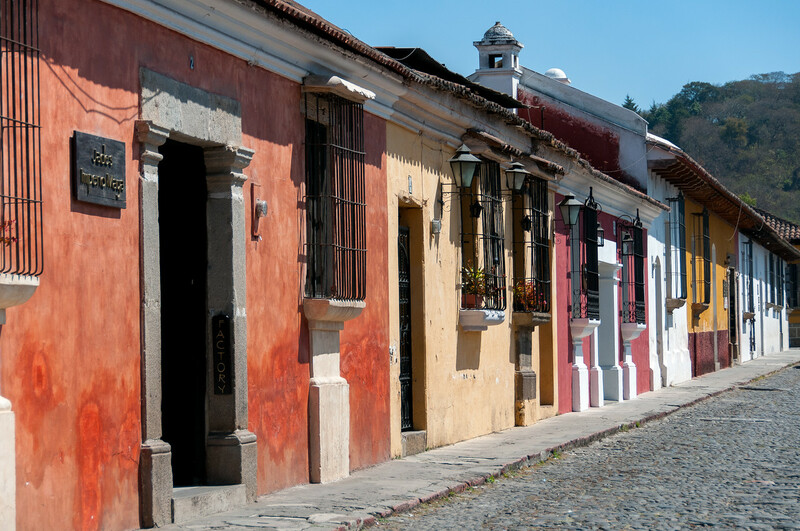 Aside from its vibrant history and rich culture, the showcase of the typical grid north-south and west-west layout of streets is also an example of Latin American town planning influences in Antigua Guatemala. There are several remains and ruins from the 16th-century city, although the majority of what was left in the city were built sometime in the 17th and 18th centuries. These buildings also showcase the extent of the colonial architectural style in the town’s planning and development. Certain architectural details such as decorative stucco (both interior and exterior ornamentation), central window niche, carved tympanum, low bell towers, and massive buildings are all important features that signify colonial architecture. 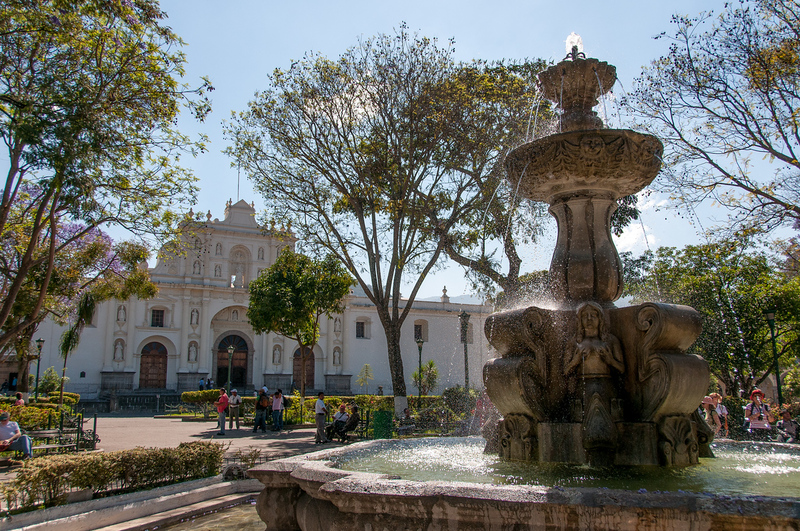 The city of Antigua Guatemala also features several notable buildings such as Palace of the Captains General, Las Capuchinas, Santa Clara, Universidad de San Carlos, Casa de la Moneda, La Merced, and more. We loved Antigua! We were there for Semana Santa so despite it being really busy, the atmosphere was electric!